There are a lot of applications and games in Google Play as well as in other websites. But to run this and test them we require Android plat formed devices. As long as these Android supported applications and games are not available to use on other platforms, these cannot be tested. But for those who do not have an Android device, but want to test such applications, Chrome browsers have come out with a solution. 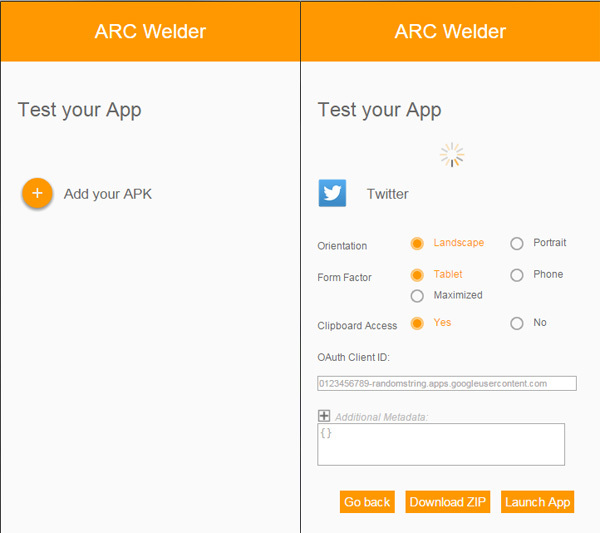 New application from the Chrome called Arc Welder is now made available on Google Play for free download by everyone. The greatest advantage of Arc Welder is that it can be used to test and run Android applications within the browsers. The app was designed and developed by the research by keeping this in mind. While you download Arc Welder from Google Play, it will mechanically install the application while on runtime itself which is inevitably necessary to make other Android apps to work. It will thus make easy and spontaneous running of Android apps. Another important feature is that it will work on many platforms without any lag in their operation. The new app works well on platforms such as Windows, Linux, Chrome OS and OS X and so on. But this thing also suffers certain shortcomings. Many apps that depend on Google Play services may not work in Arc Welder. What you have to do is to first download the Arc Welder Chrome from the Google Play. Then you have to the file or APK of the concerned application that you to test or run. You can either have landscape mode or portrait mode to run this application either on your smartphone or on your tab. When it runs for the initial instance, the app may ask for the location to which the files to be written. After this step you have to select and add APK that you have already downloaded to test it. Certain basic apps and simple games may work without any problem or complication. But in certain times, you may have to face troubles with certain complex games and apps. Anyway care must be given while downloading certain APK files for testing. This is because nowadays many APK files are coupled with malwares and virus which can damage your Android devices and also results in leakage of personal data from these devices. So before testing these apps you have to install antivirus software for android devices. Anyway ARC Welder really gives an advantage to non-Android users to run and test certain applications on Android platform. Also this provides an edge to Android users to test certain applications before installing them. Motorola refreshed their portfolio with the new Moto X Moto G and Moto 360.